Discussion in 'iPhone and iPad Games' started by Skiplit, Oct 19, 2016. 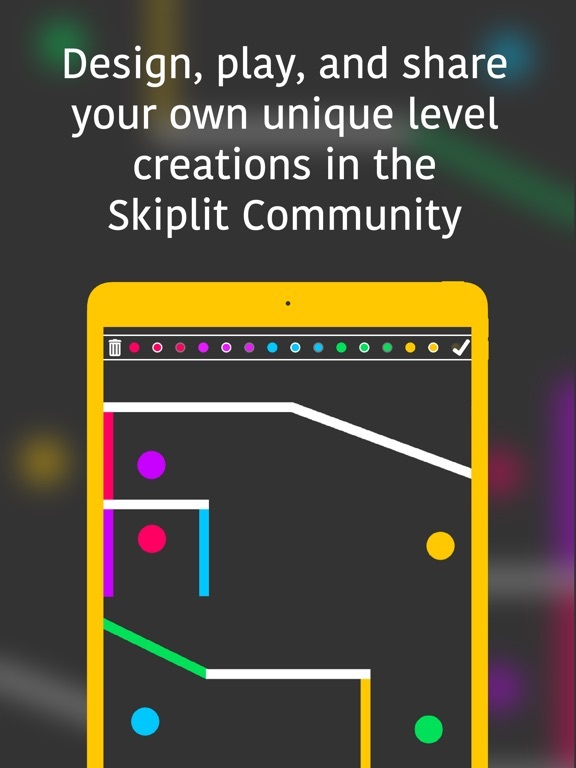 Skiplit is a puzzle game for iPhone, iPad, and iPod Touch which is now available for download at http://skiplit.com/download for free. 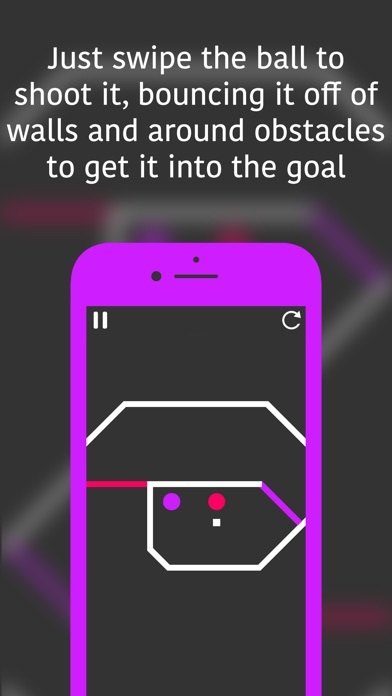 Skiplit is a beautifully simple yet puzzlingly complex level game all about getting the ball into the goal. To play, just swipe the ball into the goal. Skip the ball off of walls to get it where you want. Be careful, though  you only have a few skips every level. As you progress, you'll quickly discover that levels get more and more challenging.  Even more complications to discover! Visit the Skiplit Community, and design, play, and share your very own unique level creations with everyone. Check out the list of trending levels on the Community, and get endless puzzles! Skiplit's website is http://skiplit.com. Check it out and Download Skiplit on the App Store for free! 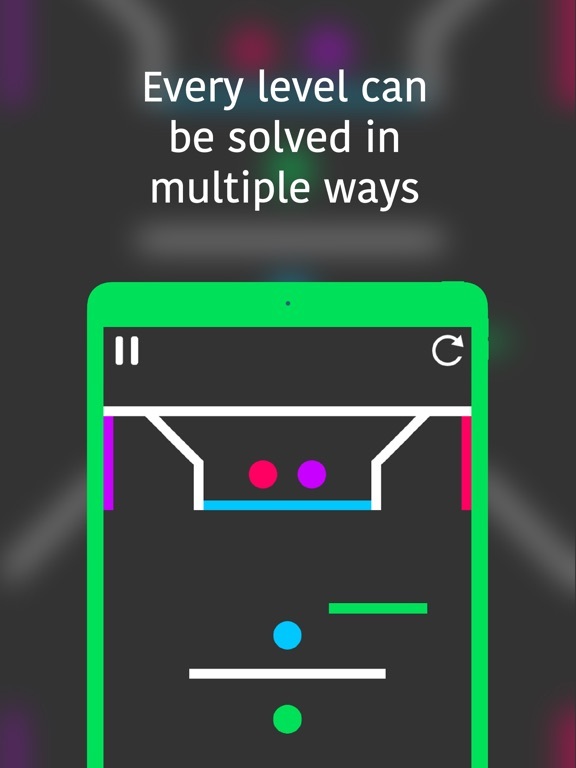 Share Skiplit with your friends, and compete with them to see who can finish all of levels first! We'll be adding lots of new levels in the future, so make sure to stay tuned and follow us on Twitter @SkiplitApp. 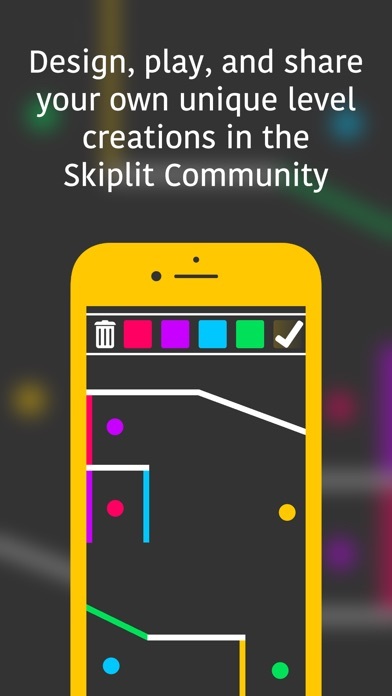 Skiplit is a beautifully simple yet awesomely complex puzzle game all about colors meeting. You'll soon learn that simple doesn't mean easy. 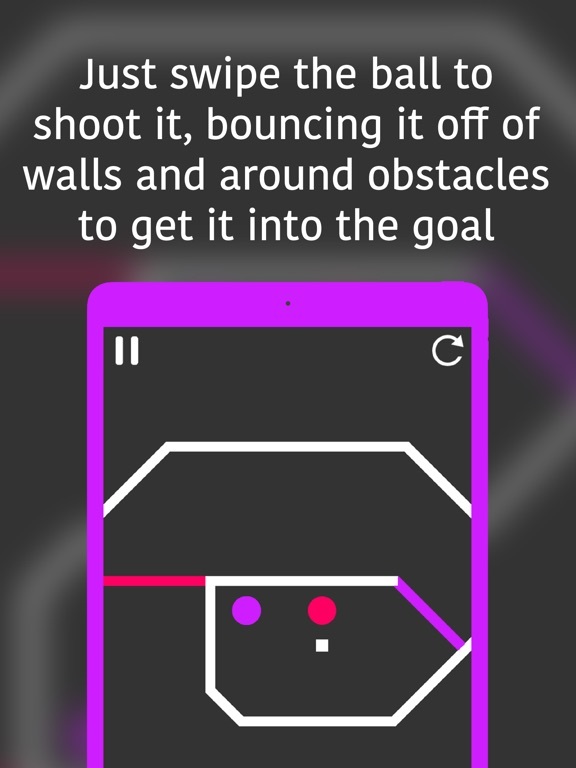 Ranked #1 game to play in Airplane mode by iGeeksBlog.com Just swipe the ball to shoot it in the direction you want, bouncing it off of walls and around obstacles to get it into the correctly colored goal. Be careful, though — you can only bounce the ball a few times each level! Almost every level can be completed in more than one way. Levels are as minimalistic as possible allowing you to spend less time figuring out what you're looking at and more time solving the puzzle. Skiplit can be played anywhere! 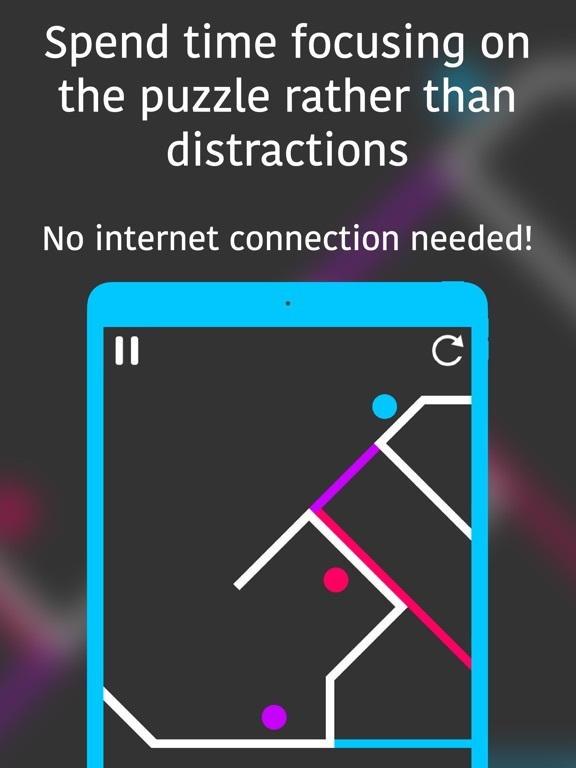 No internet connection is needed, making it perfect for plane rides, road trips, on your commute, or whenever you just want to have fun, pass time, and solve puzzles. As you progress, you'll quickly discover that levels get more and more challenging when you are faced with. • Different colored balls and goals • Different types of balls • Walls and goals that move just like balls • Dangerous walls and balls • Even more complications to discover! Build, play, and share your own unique levels using the level designer, and play endless levels from anyone else around the world in the Skiplit Community! Need an airplane mode game? Long for an easy yet impossible arcade game? 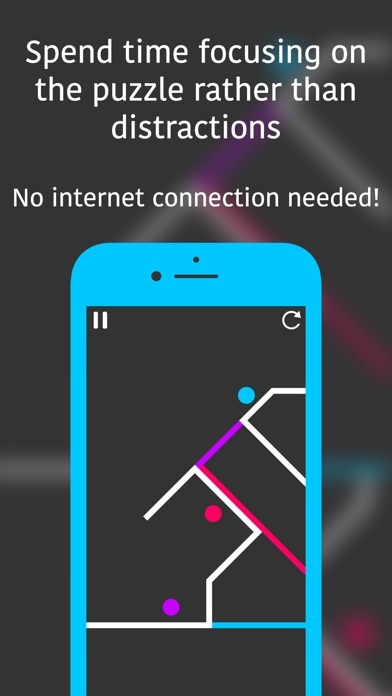 Want a puzzle game with lots of levels and without distractions? 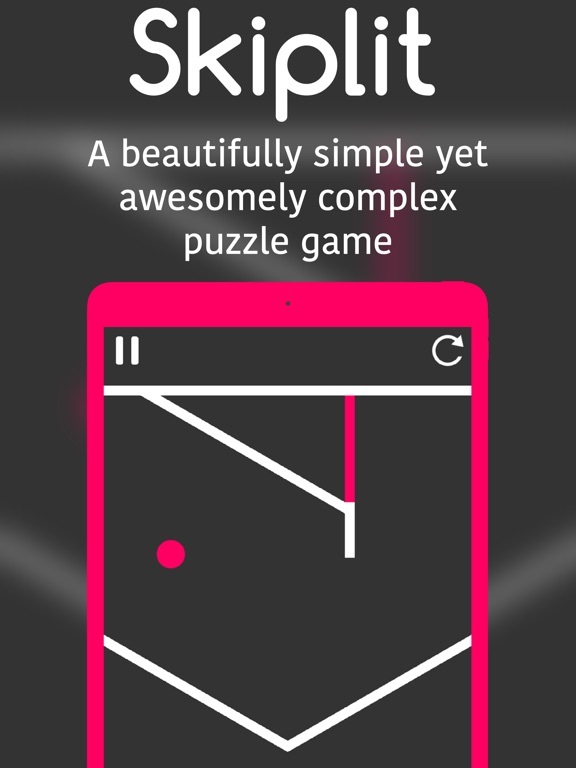 Skiplit is a simple yet puzzling, relaxing but brain-twisting, straightforward yet complex, fun and free game. 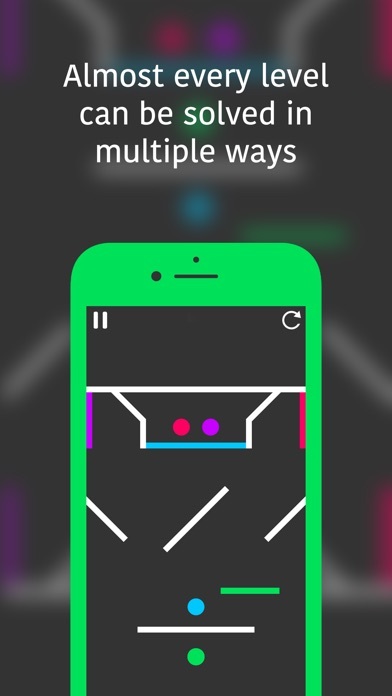 Skiplit — the beautifully simple yet impossibly complex puzzle game for iPhone, iPad, and iPod Touch. Have any suggestions for Skiplit? Post them below! Skiplit is incredibly fun. 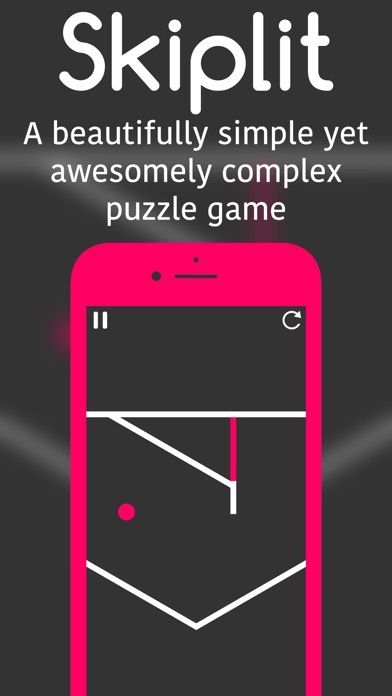 If you like billiards and trick shot games, you will like Skiplit. Not sure if it's supposed to be a dollar like it is showing on TA, but I clicked the link saying that it was free and it showed up in the App Store as free. Skiplit 1.0.2 is now out which makes some minor improvements, and another version 1.0.3, which fixes a bug with asking people to review the app as soon as they download it will be out soon. We're also working on Skiplit 1.1, which will include some awesome new features! Any suggestions? Post them below! Thank you... It really means a lot! Skiplit version 1.1 will be coming to the app store soon with some new features and new levels! Get ready! Have something you'd like to see in version 1.1? Post it below! Skiplit version 1.1 will be adding Grey Balls along with 5 new levels! Have suggestions for a level? Draw them and they might make it into the game! Skiplit version 1.1, containing the all-new gold levels, a new type of ball, 5 new levels, and a few tiny bug fixes will be live on the App Store in just a few hours! Ideas for future updates? Post them below! Skiplit version 1.1 is now out! This version adds five new levels, a new ball, and - as per popular demand - an in-app purchase to remove the banner advertisements. This version also introduces gold levels! If you complete a level in the minimum amount of skips possible, it will turn gold! Skiplit 1.1.1 will be coming out in a day or two, and will add sounds to Skiplit! This looks fun! I'm gonna grab it now! Oops, sorry, dreaded double post! Skiplit 1.1.3 is now on the App Store, and features five new levels along with some performance improvements! Follow us on Twitter @SkiplitApp for tips, tricks, updates, and more! Say something using the Hashtag #Skiplit on Twitter, and we'll almost always retweet it! Have a level or a feature you'd like to see in Skiplit? Draw it out and post it here (or just tell us about your idea)!